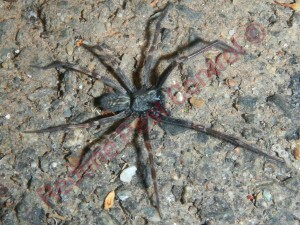 Black House Spiders are from the family of Desidae, Black House Spiders are also known as Badumna Insignis. What is a Black House Spider and what does it look like? 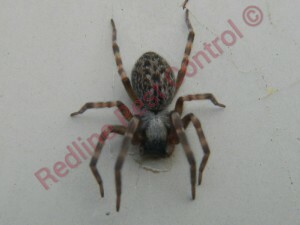 Well as you can see the Black House Spider is big and hairy but not all black house spiders are black, big or hairy. The Black House Spider is a common spider that lingers in the corners of the walls in our homes just waiting to give us a fright. The female Black House Spider is much larger than the male Black House Spider with it being 15-18mm and the male being 8-10mm. Black House Spiders have large abdomens with long luscious legs. Colour can vary when it comes to the Black House Spider, dark brown to black in colour, to blackish grey colour this is due to the hairs giving them a grey appearance. What do Black House Spiders eat and will they bite me? No, Black House Spiders tend to shy away from human contact. Black House Spiders will tend to feed on the liquid from its prey such as flies, moths, butterflies, beetles, ants, bees, mosquitoes. Where do you find Black House Spiders other than them creeping into our homes? Black House Spiders tend to set up house in tree trunks, old bark, cracks and crevices, rocks, and left debris. The female Black House Spider will rarely leave her web which is similar to the Funnel Web Spider. When building their webs, the Black House Spider will us small objects such a twigs, sticks and leaves.